He was born in 1980. 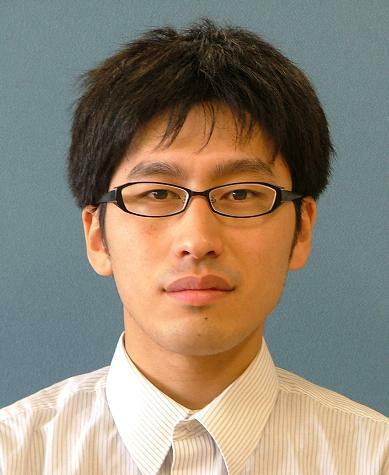 He dropped out of school(Osaka University) in 2002 to advanced placement. He received his M.D. and Ph.D degrees from Osaka University, Japan, in 2004 and 2007, respectively. He is presently associate professor of Kumamoto University, Japan. His research interests include control theory. Y. Dan, H. Okajima, N. Matsunaga, Z. Hu and N. Nakamura：Experiment of Indoor Platoon Driving using Electric Wheelchair STAVi Controlled by Modeling Error Compensation System, ICT-PAMM Workshop on Mobility Assistance and Service Robotics, p26-31, 2013.11. K. Nabekura, H. Okajima, N. Matunaga and N. Nakamura：On Collision-Avoidance Steering Assistance of Piggyback Type Electric Wheelchair with Inference of Driver's Intention, ICT-PAMM Workshop on Mobility Assistance and Service Robotics, p20-25, 2013.11. Y. Maruno, Y. Dan, A. T. Zengin, H. Okajima and N. Matsunaga：Maneuverability Analysis of Front Drive Type Personal Vehicle STAVi using Modeling Error Compensation System, 7th IFAC Symposium on Advanced in Automative Control, 2013.9. A. T. Zengin, Y. Maruno, H. Okajima and N. Matsunaga：Slope Driving Experiment of Front Drive Type Electric Wheelchair with Casters using Yaw-rate Compensation, ICCAS 2012, 2012.10. Y. Maruno, A. T. Zengin, H. Okajima,N. Matsunaga and N. Nakamura：Driving Experiment of Front Drive Type Electric Wheelchair using Yaw-rate Control, SICE Annual Conference 2012, WeA11-01 pp.1408-1413, 2012.8. A. T. Zengin, Y. Maruno, H. Okajima and N. Matsunaga：Improvement in Straight-ahead Stability of Front Drive Type Electric Wheelchair using Yaw-rate Control, VTI 2012, 2012.7. K. Sawada, H. Okajima, N. Matsunaga and Y. Minami：Dynamic quantizer design for MIMO systems based on communication rate constraint, IECON 2011, 2011.11. H. Okajima, K. Sawada and N. Matsunaga：Integrated Design of Filter and Interval in Dynamic Quantizer under Communication Rate Constraint, The 18th IFAC World Congress, 2011.8. N. Matsunaga, H. Okajima, T. Yoshida and S. Kawaji：Passivity Evaluation of Steering Action with adjusting Reaction Torque to the Driver, ASCC2011, 2011.5. H. Okajima, N. Matsunaga and K. Sawada：Optimal Quantization Interval Design of Dynamic Quantizers which Satisfy the Communication Rate Constraints, Proc. of the IEEE Conference on Decision and Control 2010, 2010.12. N. Matsunaga, K. Sasano and H. Okajima：An Implementation of Fractional-order PID Controller with Dynamic Quantizer considering the Memory Constraint, Proc. of the IEEE Multi-conference on Systems and Control 2010, 2010.9. C. L. Ooi, T. Asai and H. Okajima：Extension of Reference Signal in Iterative Learning Control for Non-minimum Phase Systems, SICE Annual Conference 2010, 2010.8. A. T. Zengin, N. Matsunaga, H. Okajima and S. Kawaji：Pain Perception Model of Human Skin Using Multiple Pain Sensors, SICE Annual Conference 2010, 2010.8. H. Okajima, T. Asai and S. Kawaji：Unified Form of Performance Limitations in Reference Tracking Control Problem for Discrete Time Systems, Proc. of the 47th IEEE Conference on Decision and Control/CCC joint, 2009.12. N. Matsunaga, T. Shiotsuki, H. Okajima, N. Ohmura：Experiment of Measurement and Control using embedded System for Undergraduate Students, the 8th IFAC Symposium on Advances in Control Education, Kumamoto, ThC01.5, 2009.10. H. Okajima, T. Umemoto, N. Matsunaga and S. Kawaji：Analysis of Dynamic Quantizer in 2-DOF Internal Model Control System, Proc. of ICROS-SICE International Joint Conference 2009, pp.4380-4383, 2009.8. M. Nakano, N. Matsunaga, H. Okajima and S. Kawaji：Tuning of Feedback Type Decoupling Controller for Two-dimensional Thermal Process based on VRFT Method, Proc. of ICROS-SICE International Joint Conference 2009, pp.925-930, 2009.8. N. Matsunaga, R. Mera, H. Okajima and S. Kawaji：Stifness Analysis of Crank Motion Task using Six-Muscles Model, Proc. of ICROS-SICE International Joint Conference 2009, pp.4478-4483, 2009.8. H. Okajima and T. Asai：Performance Limitation of Tracking Control Problem for a Class of References, Proc. of the 47th IEEE Conference on Decision and Control, pp.3694-3699, 2008.12. H. Okajima, T. Asai and S. Kawaji：Optimal Velocity Control Method in Path following Control Problem, Proc. of The 17th IFAC World Congress, pp.90-95, 2008.6. H. Okajima and T. Asai：Parameterization of outputs tracking to reference asymptotically and achievable by bounded inputs, Proc. of The 32nd Annual Conference of the IEEE Industrial Electronics Society, pp.682-687, 2006.11. C. L. Ooi, H. Okajima and T. Asai：Constraints in Servo System Design for Non-Minimum Phase System, Proc. of Sice-Icase International Joint Conference 2006, pp.970-973, 2006.10. H. Okajima and T. Asai：Path following control based on trajectory differences, Proc. of The 10th IFAC/IFORS/IMACS/IFIP Symposium on Large Scale Systems, pp.735-740, 2004.7. Copyright © 2012 System Integration Lab. All Rights Reserved.